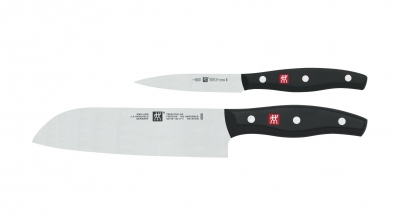 TWIN Pollux knives are the perfect entry level knife for the aspiring cook. 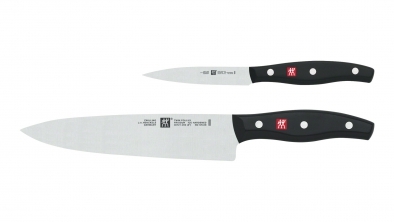 Made from special formula steel and FRIODUR Ice hardened for optimum hardness, strength and flexibility, TWIN Pollux Knives offer a traditional design with a modern twist. 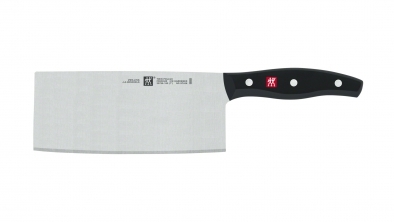 The full tang ensures the knife is safe to use and also gives it the highest possible level of stability and balance. 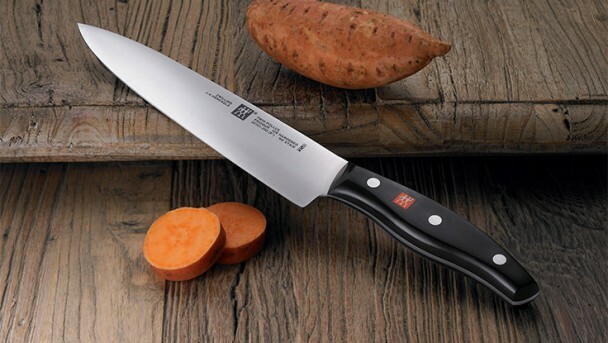 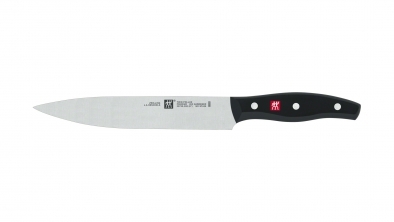 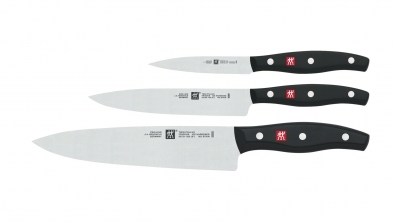 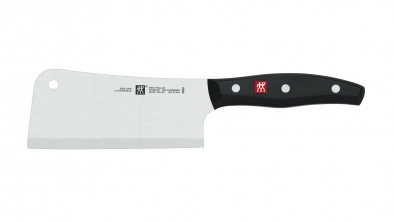 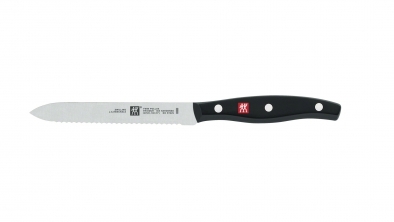 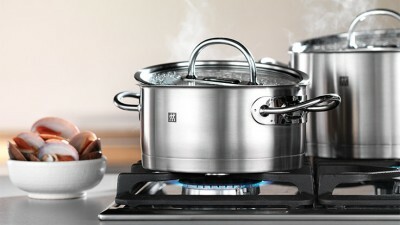 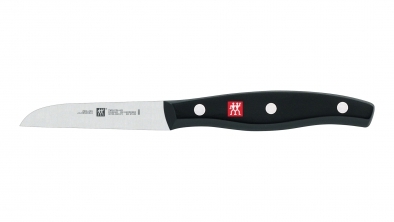 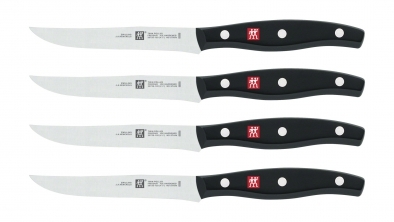 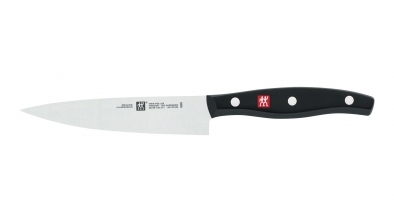 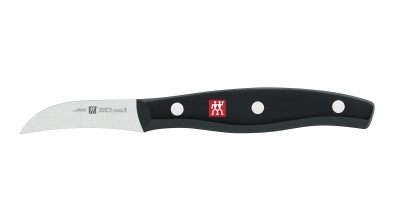 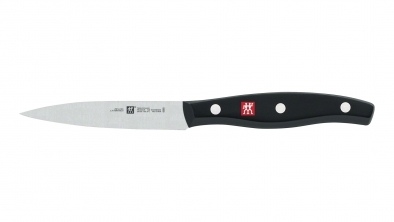 The end of the handle features an integrated red ZWILLING logo for added elegance. 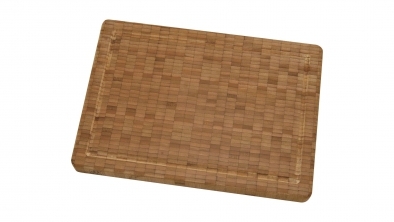 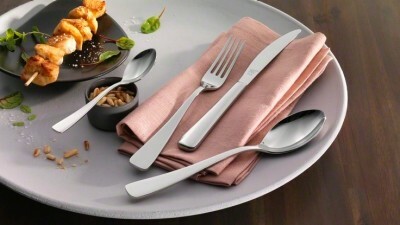 The handle, which features a classic three-rivet design, is comfortable to hold. 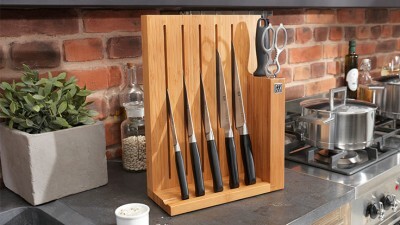 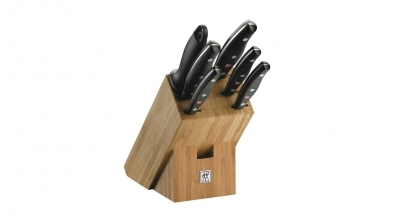 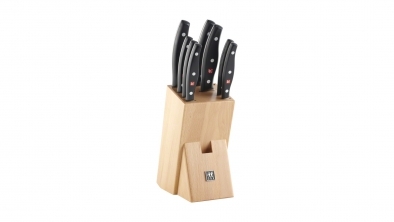 Knife block, natural wood, 9 pcs.